First, gather your supplies. 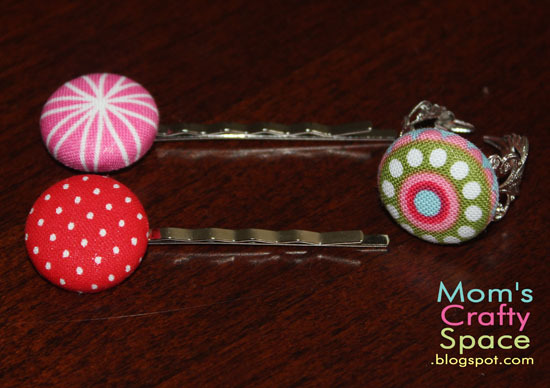 You’ll need some fabric scraps, bobby pin or ring blanks, scissors, a button covering kit (available here – I’m using flat-backed size 30 buttons), and some E-6000 Adhesive . 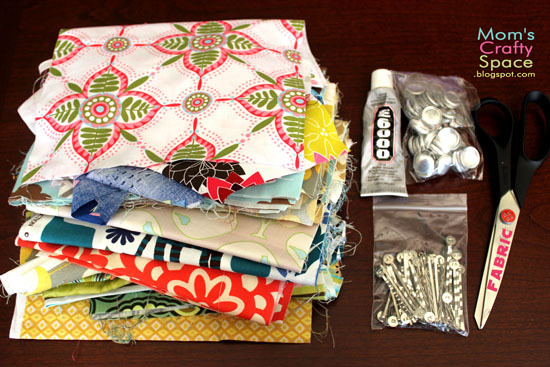 I purchased my fabric scraps, bobby pins and ring blanks from Mindy Mae’s Market. 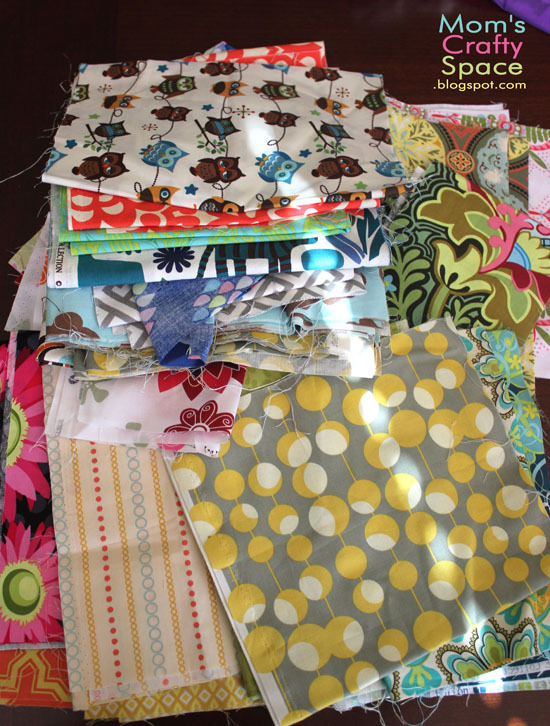 Mindy Mae’s doesn’t alway have fabric scraps, and when they get them in stock they sell out quickly, but they are soooo worth it! If you “like” Mindy Mae’s Market on Facebook you’ll get the inside scoop on when they’ll be available. I just had to show off some of these prints because they’re totally adorable! Cut a fabric scrap into a circle (or circle-ish! 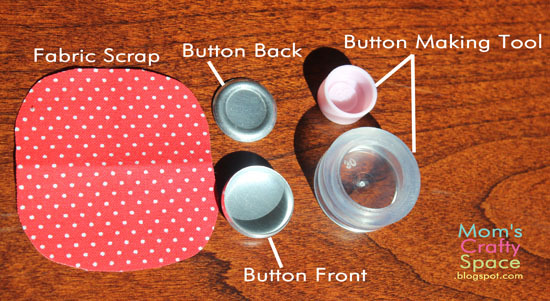 it doesn’t have to be precise at all) large enough to cover the entire button and wrap around the edges. Lay the fabric circle over the larger sized bottom piece of the button making tool (print side down). Place the button top face down into the bottom of the tool with the fabric. You may need to trim off the excess fabric a bit at this point. There should be enough fabric left that it fills the button and overlaps the edges, but not so much that you can’t get the button backing to fit on. 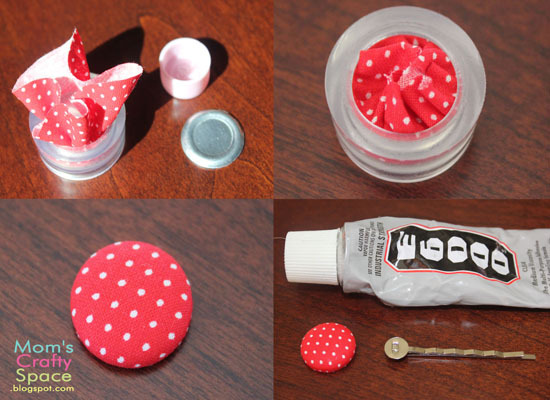 Place the button backing on top of the fabric, and use the small part of the tool to push the back into place. It will snap into place easily as long as you don’t have too much excess fabric. Finally, use your E-6000 to glue the button on to the bobby pin. Easy peasy! 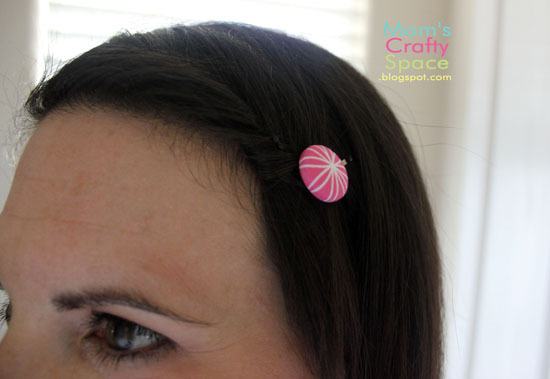 It literally only takes about a minute and a half to make each hair pin! Now go make them in every color and pattern you can think of ! I’m warning you though, it’s highly addictive! 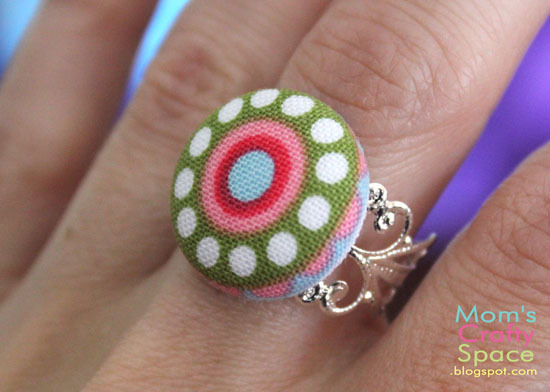 Fabric buttons also make super cute rings! I got these filigree ring blanks from Mindy Mae’s Market as well. You’ll want to stock up so that you can make rings to go with every outfit, naturally! YOU WON THE DRAWING FOR THE TOOTH FAIRY PILLOW AND I NEED YOU TO MESSAGE ME WITH YOUR ADDRESS SO I CAN SHIP IT TO YOU. I ALSO FINISHED MY OUTFIT PROJECT AND WOULD LOVE FOR YOU TO TAKE A LOOK AT IT.